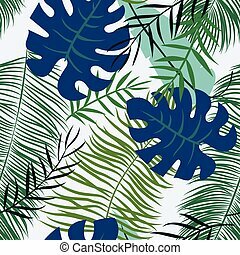 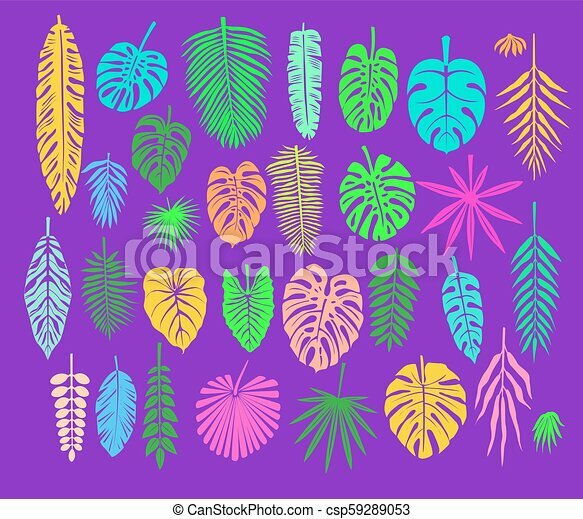 Decoration with tropical leaves. 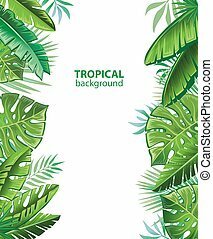 Festive and party decoration with tropical leaves. 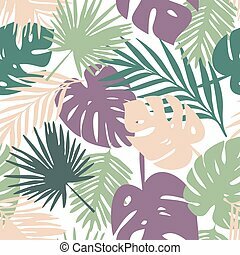 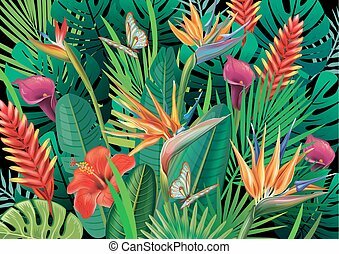 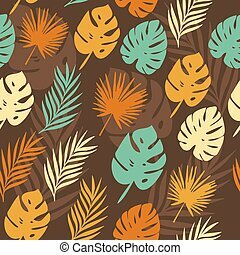 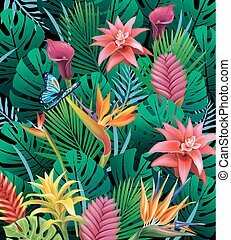 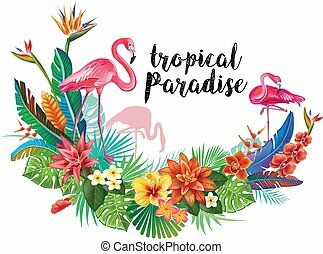 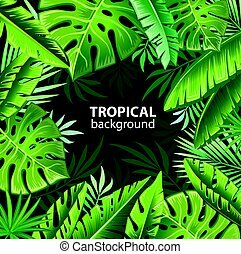 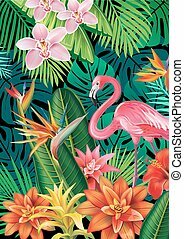 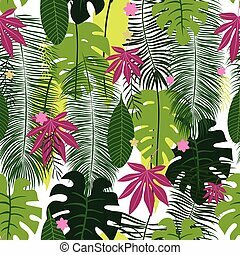 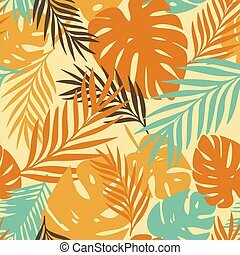 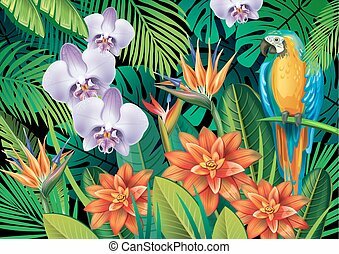 Background with tropical flowers and leaves. 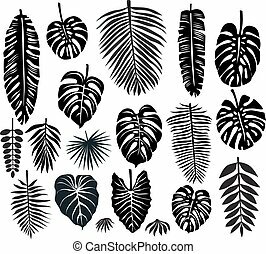 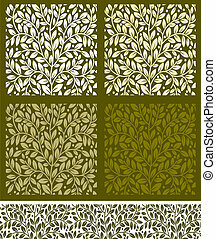 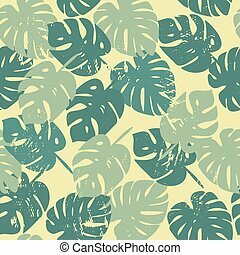 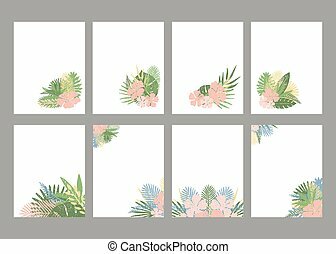 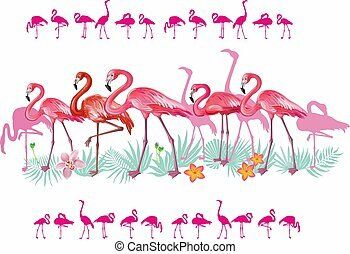 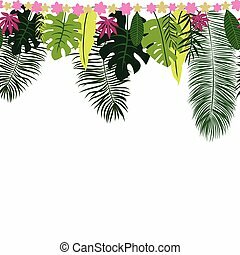 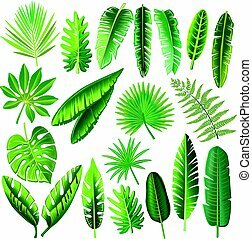 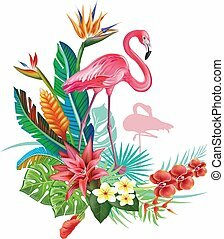 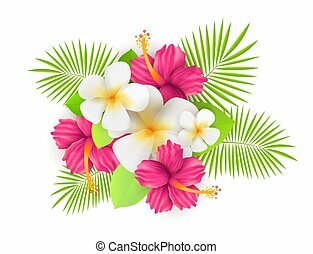 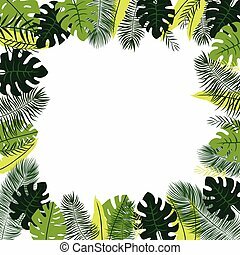 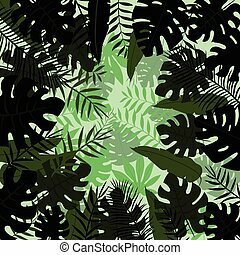 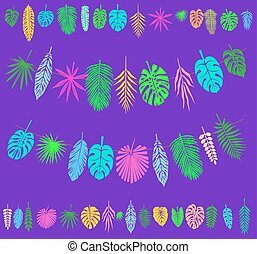 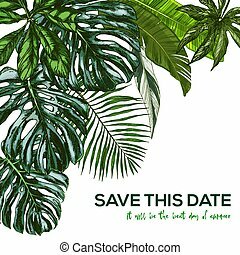 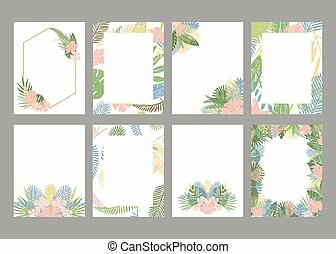 Set of templates with tropical leaves and flowers.Vector illustration.